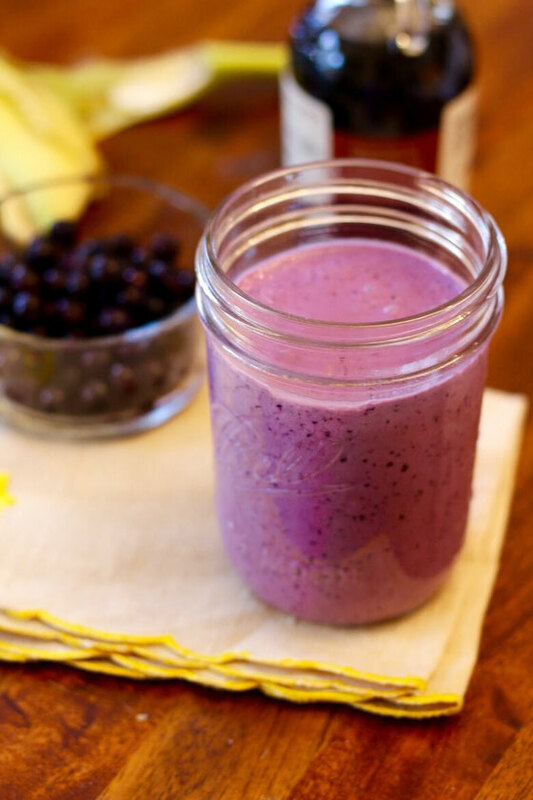 Wake up with this antioxidant-rich smoothie made with wild blueberries. It's sure to satisfy your tastebuds and fill your belly! Disclosure: I work with the Wild Blueberry Association of North America to help people make healthier food choices. If you can't tell from my previous posts, I love smoothies. I didn't drink them frequently during this winter— but now that it's almost spring (wishful thinking, right?! ), I'm in the mood to get blending again. 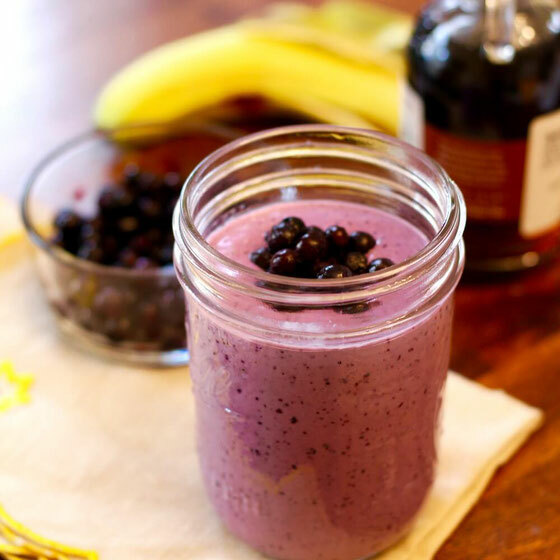 When I whip up breakfast smoothies, I always look to make them balanced meals and full of satiating protein and fiber. That's why I used plain Greek yogurt and milk as a base for this smoothie—those ingredients are full of protein and fiber! I added peanut butter for both yumminess and healthy fat, which is filling and good for us. And of course I needed to add a boost of both color and antioxidants to my smoothie, so I chose wild blueberries as the featured fruit. 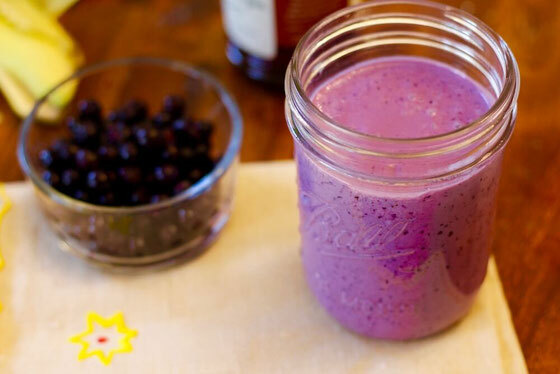 The blueberries make this smoothie a beautiful blue-purple color. They're rich in antioxidants, offering more than 20 other fruits and vegetables, including both raspberries and cranberries. Then I added some banana to help thicken the smoothie and add additional nutrients like blood-pressure-helping potassium. So there's my most recent smoothie creation! Each serving provides 22 grams of protein, which is an amazing 44 percent of the daily value, as well as 6 grams of fiber, or 24 percent of the daily need. That should keep you full throughout the morning. *I used 2% fat milk and yogurt. Find this post helpful? At no additional cost to you, support the maintenance of running this site by using my Amazon affiliate links to shop. Thank you!. What are your thoughts on this topic? What are your favorite smoothie ingredients?